Sarika CPA PLLC offers the following tax and accounting services to both businesses and individuals in North Carolina and other states. Our small business accounting services are designed to help streamline operations for you and your business. We take care of your books for you, so you can concentrate on running your business and generate profits! 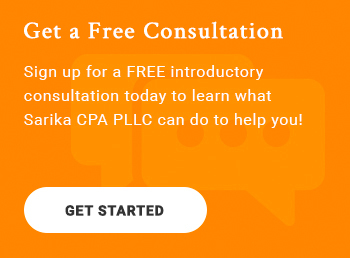 Sarika CPA PLLC has years of experience consulting small businesses with financial growth plans, cash flow management and more. Our consulting services are designed to provide you with the guidance needed to make your business prosper. Sarika CPA PLLC will help you choose the best entity, develop a business plan, establish budgets and projections for your business, and also help you with restructuring if advantageous. Sarika CPA PLLC handles all aspects of payroll and payroll taxes, making sure your employees always get paid on time. Sarika CPA PLLC provides businesses with QuickBooks® software set-up, support and training. We help you choose and install the right software for your business. We don't just help you use the software; we help you use it more efficiently and more effectively. To learn more about our accounting services for small businesses, call 919-395-5113 today or request a consultation through our website.